The choice of the bed frame is a matter of taste, the room space or the personal enviromental standards. 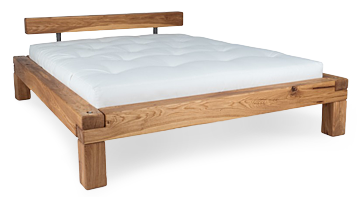 We provide you with an idea of style, visual appearance, quality of the (futon) bed models and the facts and deliver at the end your favorite model at the best price. 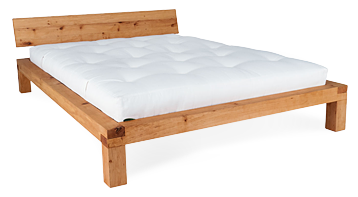 The "beloved" beds are our selected bedframes of all price categories and special quality, for the reason that some are made exclusively for us in excellent carpentry work or simply their popularity. 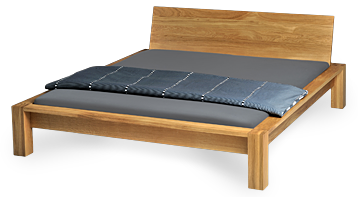 Bed frames of fine chosen solid wood and as metal free as possible are usually available more quickly. The "pretty good" beds are our fine and solid wood bedframes, made out of the best and most reliable manufactories in ageless nice designs.